Four years in the making, we are finally ready to release our second album, Override. It took us way longer than we planned, but we’re quite proud of the results. Quite early on, Ville said that he wanted to mix the album. Not having done much mixing before, it meant spending hundreds of hours working on the tracks, reading and learning. This time was well invested and now we have a skilled mixing guy in the band. While working on this album, I lost two of my family members. My brother died in 2013 and in less than a year, my grandpa died. The loss of my brother was a huge shock to me, and even though I wanted to keep working on the album, I had to take some time off Unzyme. These past years have not been the easiest for me, and having to deal with these losses also delayed the release of the album. One song on the album, Relay, is about my grandpa. I wrote it before he died, and he even listened to an early version of the song, but I didn’t want to tell him that it was about him. My grandfather’s death was to be expected, so I thought about it a lot before he died, but my brother’s death could not be anticipated. I sang Relay in my brother’s funeral, to his friends, wife and kids. It’s been a tough few years for the whole family, but we’ve carried on, because that’s the only choice we have. On the bright side, the album is now ready, and we’re really excited to hear what you have to say about it, and to get to play it live. There are ten tracks on the album. Two have been released before as singles (Relay and Step outside). 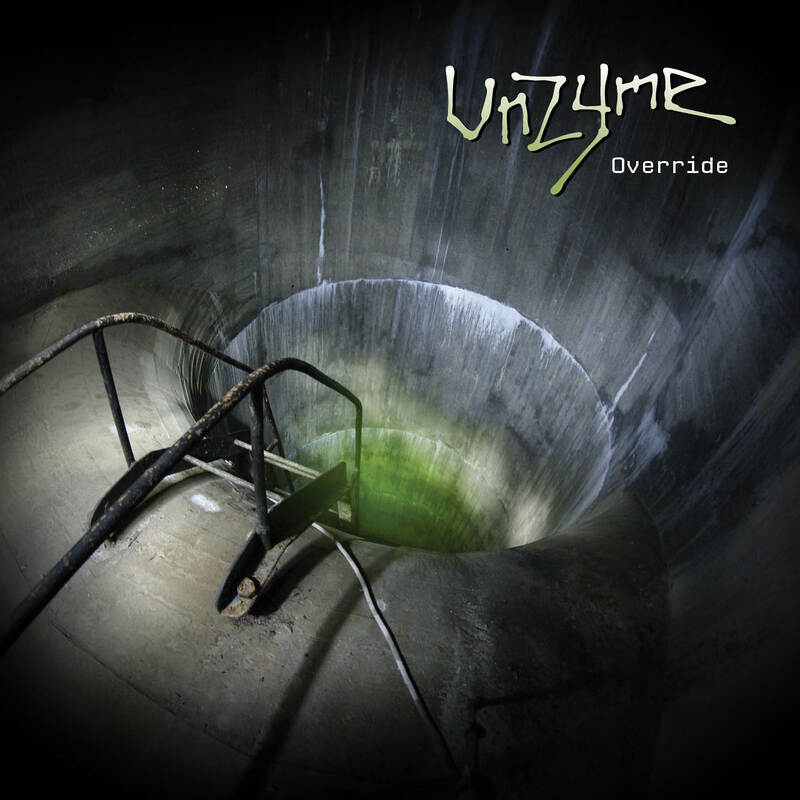 It’s quite a contemplative album, and deals with rather tough themes, but as in all Unzyme songs, there’s always hope. This album is about crying out the pain, and stepping forward. The release date of Override is January 30th, 2015. We’ll conduct a special experiment at Beatcon on the same day. The cover photo is taken by Veli-Matti Rintala, Koiruoho.com.